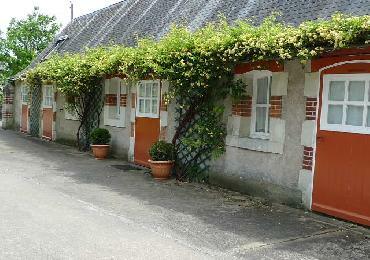 Vacation Rentals & Holiday Rentals in France : House Pernay. 1000gites.com vous propose des rentals de vacances Pernay avec photos, disponibilités et descriptifs détaillés. House in a property in countryside with 2 bedrooms, dining room, open-plan kitchen, 2 shower rooms, 2 WC. Wheelchair friendly. Pets allowed. Number of beds: simple bed (2), double bed (1), sofa bed BZ (1), cot (1). In the middle of Loire Valley, chateaux, wineyards, gardens, museums, in an old 6ha.park, the saddlery was settled: it's a one-storey building, one room wide, airy and light. Two bedrooms and a living areawith a kitchen sepa Altitude 70m.